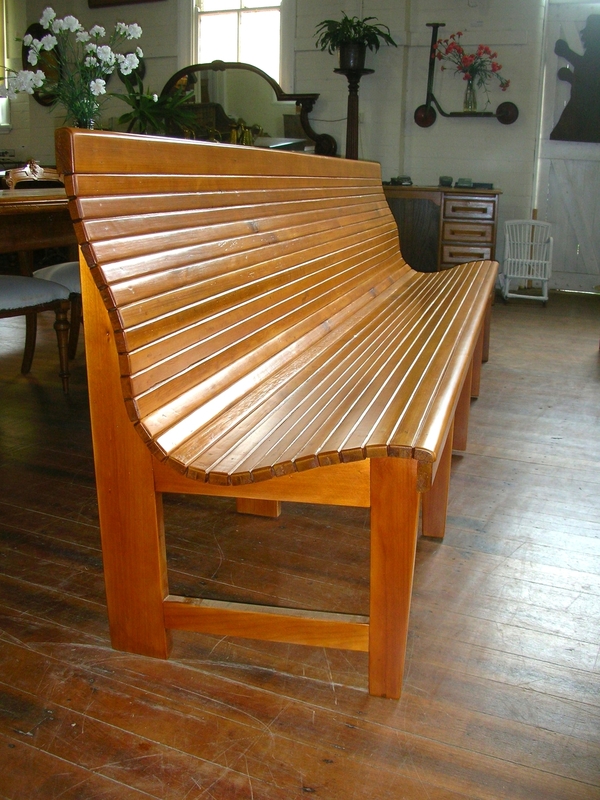 Superb Hoop Pine Bench seats made in & for the Masonic Hall Bangalow in 1922.One of seven ,this bench is 2700mm long .The superb quality Hoop Pine was milled just a few doors up Station St at Mr Sawmill and the benches were constructed upstairs in the actual Masonic Temple for use during the Masonic Meetings. These Bench Seats are absolutely stunning & are also extremely comfortable to sit on due to their shaped backs . Ideal for a foyer or large hallway.